Michael B. Jordan, Tessa Thompson, and Sylvester Stalone returned to the big screen for the second installment of Creed this Thanksgiving weekend. And fans, hungry to see how Jordan’s character Adonis evolves, honoring his late boxing father while still creating a name for himself, showed their support for the film franchise. In Creed II, Adonis continues his career as a professional boxer when he takes on a match with the son of the fighter who killed his father in the ring back in 1985. Despite Rocky’s hesitation, he guides and trains Adonis. Adonis’ relationship with girlfriend Bianca has also grown. Played by Tessa Thompson, Bianca elevates her own career as a singer, while also becoming a mother to the couple’s daughter. 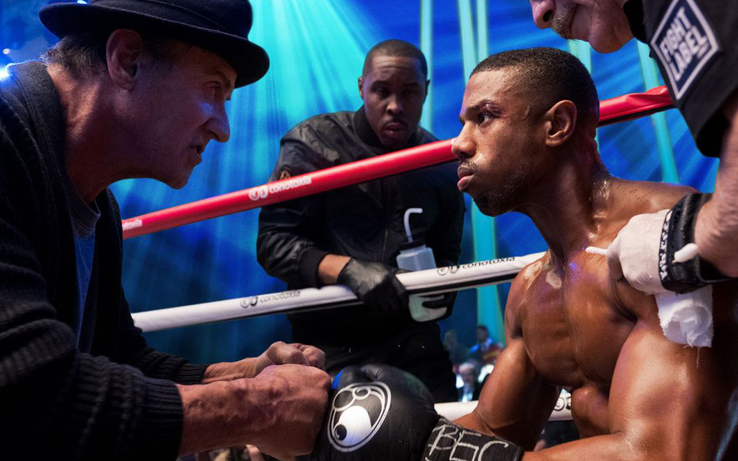 While Creed II continues to pummel the box office, Jordan who trained vigorously for the role may get the chance to fight former boxing champ Roy Jones Jr. The 31-year-old actor said Jones definitely would’ve beat Jordan in his prime, but since his Creed II training, he thinks he may be able to give Jones a run for his money.